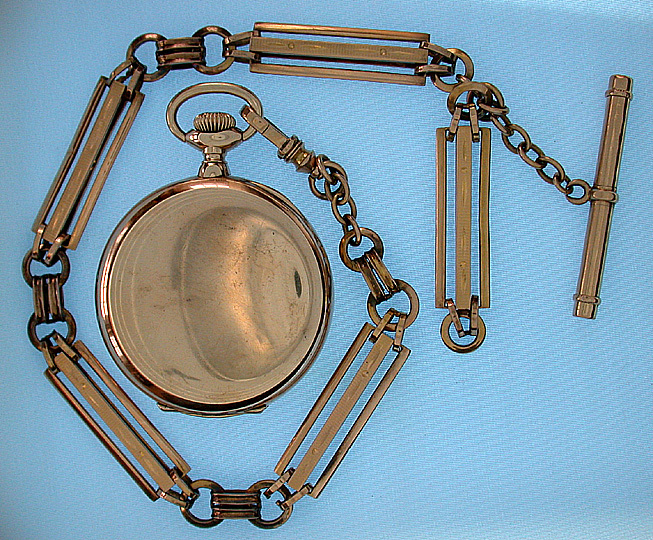 Fine fancy pink 14K gold anticue pocket watch chain circa 1880. 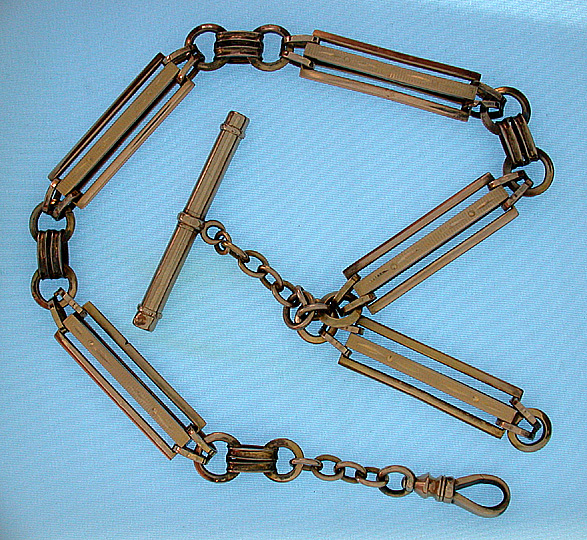 Handsome 15 inch long 22.8 dtw chain. Shown with a 51mm watch (not included).